Conveniently located off the Denver-Boulder Turnpike is our Boulder Neurofeedback center location. At NeurOptimize Boulder, we are passionate about helping Boulder residents gain a better understanding of their mind, as well as providing the tools and knowledge necessary to help our clients make the best choices for their overall brain health. 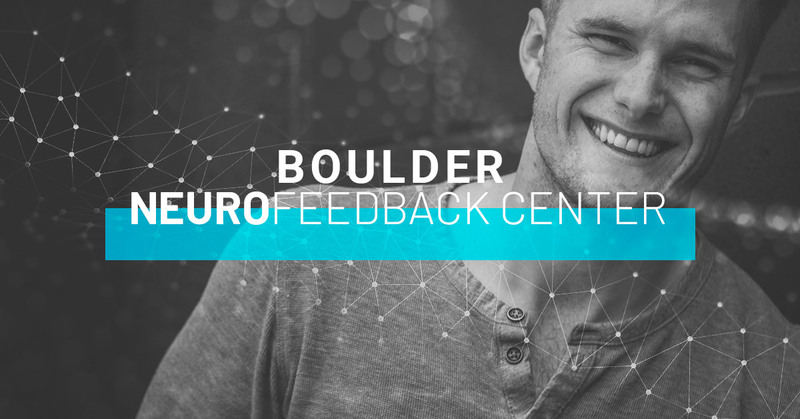 At our Boulder Neurofeedback Center location, our process consists of three steps that result in you living your best life — including an initial consultation, a custom plan, and a final evaluation. Do you struggle with anxiety, depression, or from another mental health symptom? Are you curious as to why you feel the way that you do? Or about what is causing you to feel this way? qEEG brain mapping allows you and neurofeedback professionals to see the root cause of these symptoms, allowing our NeurOptimize team to create a custom care plan for you to help retrain your brain and alleviate your unwanted symptoms. Using the data obtained from qEEG brain mapping, we are able to start a neurofeedback, a type of EEG Biofeedback that retrains your brain to function in a more desirable, balanced way. With the information from brain mapping, we are able to pinpoint the exact areas of your brain that aren’t functioning optimally and target the associated brainwave frequencies exclusively — resulting in enhanced brain performance and alleviated symptoms. While neurofeedback is the heart of what we do to treat cognitive, emotional, and behavioral disorders, we also believe counseling and coaching is important. Many of our neurofeedback specialists are also Licensed Professional Counselors, Life Coaches, and Registered Psychotherapists. Supplement your neurofeedback treatment by adding counseling or coaching to your sessions. Biofeedback using “Thought Technology” allows neurofeedback specialists to focus on the whole person — helping clients regulate both their brain and physiology. With this state-of-the-art tool, we are able to bring “automatic functions” to our clients’ awareness and monitor many different metrics for the utmost results. At our Boulder Neurofeedback Center location, we are passionate about mental health care and helping Boulder residents gain knowledge about their brain and the way it is functioning, as well as providing access to top-of-the-line biofeedback devices to ultimately enhance the lives of our clients. That is why at NeurOptimize Boulder, you will find a team of dedicated neurofeedback professionals who are knowledgeable and passionate about brain health and cognitive training, who will be by your side every step of the way through your custom program. At our Boulder Neurofeedback Center location, it’s our mission to provide relief to you — whether that’s mental or physical. You deserve to live your best life. Contact us today to schedule a free consultation or to learn more about our Boulder neurofeedback services.